Stop Times - how much time does it take to stop at a location? 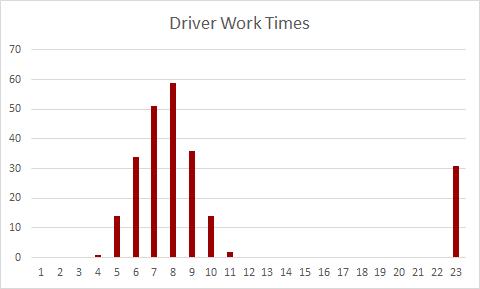 Working hours of the drivers can easily be presented in graphs, as we can see in the graph above. The x-axis shows the total work time of a driver. The y-axis shows the amount of drivers. We clearly see a trend between 4 and 11 working hours, but also an outlier with drivers who work 23 hours. When a planner is presented with these figures, an alarm bell WILL ring. Time to dig deeper and check the issue. Plotting data on a map is another easy sanity check. You can use your route optimization tool to do this. Just upload your order file, but only attach value to the address information of the orders. For this case, it is immediately clear that one order does not have the right coordinates. Just by uploading a simplified order set. Building an as-is is another way to find inaccurate data. An as-is is a planning in which we simulate an already executed plan. We can do this by allocating orders to specific vehicles and by giving these orders the right sequence number. As we put this as-is planning in an optimization tool, wrong data will cause violations. Incorrect work times of the driver. Portable devices and on-board computers are tools that can be used for multiple purposes. They can be used as a communication tool between the drivers and the planners. In this way a planner can dispatch his planning to the driver's device, so the driver can follow his plan. Another possibility of using these devices is monitoring the routes that are executed. As you see, track & trace can be a tool to identify data issues, but we also use track & trace in the next stage: solving data issues. When we track all information through our devices, the data will be a lot less sensitive to errors. So, issues from previous steps can be tackled by using track & trace. When using an optimization tool, data is very important for the company, but also for the clients. For clients, only one thing matters. Their orders must be executed at the right time. We can only ensure this when time windows are correct. Otherwise, the tool will plan orders when the client is not present. Good data quality is also beneficial for the drivers. 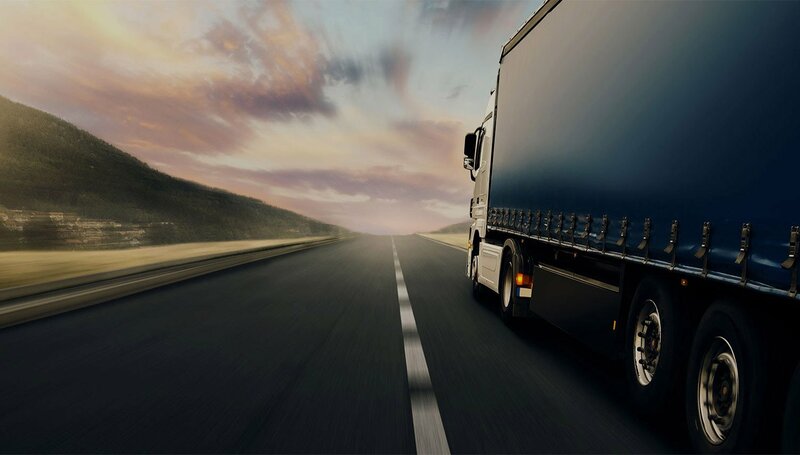 When service times and driver efficiency is well defined, drivers will receive a realistic planning. When this is not the case and service times are set too big, drivers will have a lot of waiting time during the day. When service times are set too short, drivers will not reach their following destination in time, which means a lot of stress for them.